A family-run jewellery and watch business has renewed its partnership with AFC Bournemouth, for a sixth consecutive season. 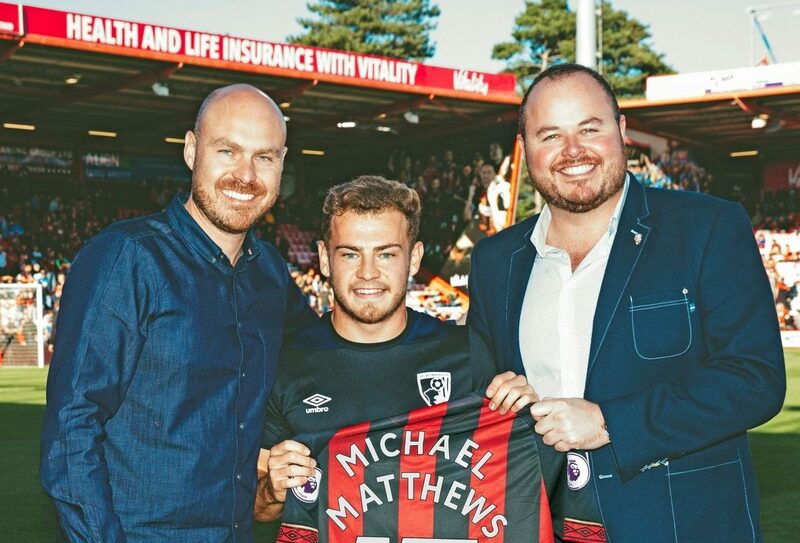 Michael Matthews Jewellery Ltd, which has a showroom in Westover Road, is continuing its run as a regional supporter of the Cherries. The company also sponsors AFC Bournemouth’s Player of the Month award. Winner of the award in August and September, Ryan Winger, presented a commemorative shirt to the company’s Matt and Mike Corica before a recent match.